NEROLI PORTOFINO is one of my most reached for fragrances during the summer months. It’s a clean and fresh citrusy scent, which is exactly what I look for when it’s hot and humid outside. 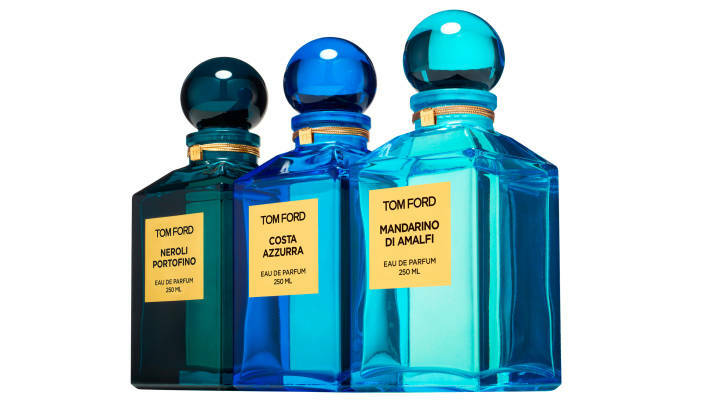 Given its standing as one of the most popular scents in the TOM FORD Beauty Private Blend Collection, it is no surprise the line is expanding with the addition of two completely new fragrances: COSTA AZZURRA and MANDARINO DI AMALFI. People have been waiting rather impatiently for these to launch this summer, myself included. Well… I have some good news. For the official press information on the new scents, read on. 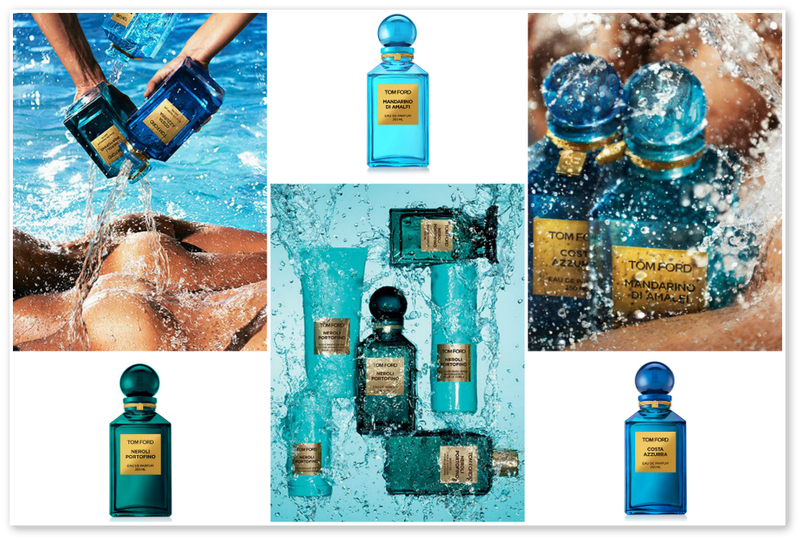 “Tom Ford presents a new Private Blend Collection that explores the seductive atmosphere of the Mediterranean—a place where whitewashed villas, effervescent waters and secret grottos take hold of the imagination and beguile the senses. NEROLI PORTOFINO is a reinvention of a classic eau de cologne inspired by the sparkling blue waters, cool breezes and the verdant foliage of the Italian Riviera. The fragrance opens with a fusion of citrus oils – Tunisian Neroli, Sicilian lemon, winter yellow mandarin and Italian bergamot – which evokes the ritual of inhaling Neroli oil from the region’s prized bitter orange tree. Surprising undertones of lavender, orange flower, rosemary and amber give the fragrance its rich complexity, creating a splashy yet substantive impression. MANDARINO DI AMALFI captures the calm idyll of the whitewashed villas dotting the cliff sides of Amalfi. The fragrance opens with an abundance of coastal Italian ingredients. Herbaceous ingredientssuch as tarragon, spearmint, blackcurrant bud are showcased with sleek mandarin fruits, bergamot and grapefruit. Lemon sfumatrice, an artisanal pressed lemon oil, and a twist of basil, create the delectable hint of a basil-limoncello cocktail. Cool black pepper and coriander seed rise up through a concentrated orange oil. A floral core emerges with the richest orange flower. A floral core emerges with the richest orange flower, clary sage and a duet of jasmine which notes capture the flower’s creamy depth as well as its bright, fresh whiteness. Shiso leaf adds an unexpected twist that is as enchanting as a memento from Japan displayed in a grand Mediterranean villa. The background unfolds with the brightest, liveliest and most luminous aspects of vetiver roots. Amber and labdanum lend texture, while musk and civet bring a pulsing flicker of warmth. COSTA AZZURRA evokes the fragrant and sun-baked landscape of coastal and island Mediterranean woods, where pines and oaks mingle with wild-growing herbs and salty water. The fragrance opens with a hint of fucus, a species of seaweed, and then the sandy, salt-baked wood notes of driftwood accord and agarwood accord. A spicy shimmer of ambrette seed, celery seed, and cardamom conveys glints of freshness. A combination of armoise, juniper berry, myrtle, basil and French lavender lilt into crisp Italian lemons and yellow mandarin. The presence of dense coastal forests of oak, cedar and cypress is unmistakable. Ambery citrus and resin from the lentisque shrub and smoky olibanum, incense and vetiver oil touch the air with sensuality, as carnally rich vanilla completes the composition. THE NEROLI PORTOFINO COLLECTION is a trio of fragrances housed in glass bottles of complementary sea and sky shades of blue. 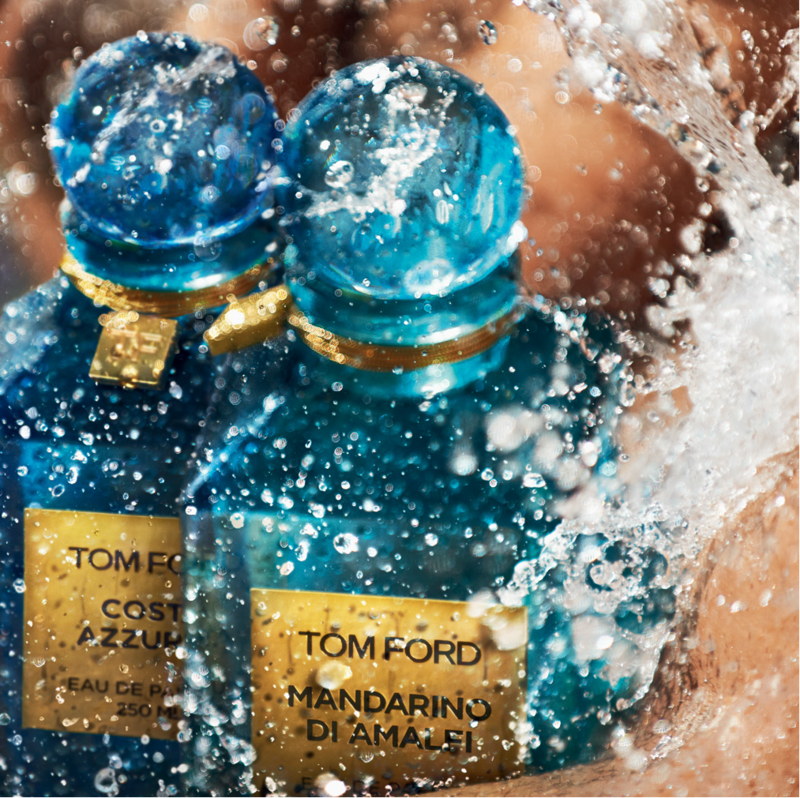 Anchored by the iconic aqua-blue bottle of the original NEROLI PORTOFINO, MANDARINO DI AMALFI is featured in light azure and COSTA AZZURRA comes in a deep ocean-blue. All three bottles are labeled with a gold plaque and are packed in luxurious Private Blend cartons colored the same shade of blue as the bottle. WILL YOU BE PURCHASING COSTA AZZURRA OR MANADRINO DI AMALFI?